Very soon I plan to read and discuss each chapter of the Bell Curve on this blog (maybe lumping chapters together if it makes sense) to explore in detail what are exactly the arguments of Charles Murray and the long-deceased Richard J. Herrnstein. I am inspired by the series on "Atlas Shrugged" by Ayn Rand, on Adam Lee's Daylight Atheism blog. I think Lee embodied the worst censorship impulses of "social justice warriors" when he sided with another commenter on the series' discussion forum who cursed me out and said I was out to hurt people with autism when I speculated the possibility that Ayn Rand had been on the autism spectrum. Lee deleted my self-defense comments and told me I had to stop discussing the topic. Having read two recent biographies on Rand, I still say there's a good chance she was on the spectrum. I think Lee censored me because he doesn't like Rand and therefore believes that saying Rand was autistic was an insult to those who have autism. But I'm sure people who identify as autistic who like Rand would be pleased if she was also autistic. But in spite of my feelings about Lee, I think his series on Atlas Shrugged made some good points, which sometimes informed my own critique of the book. 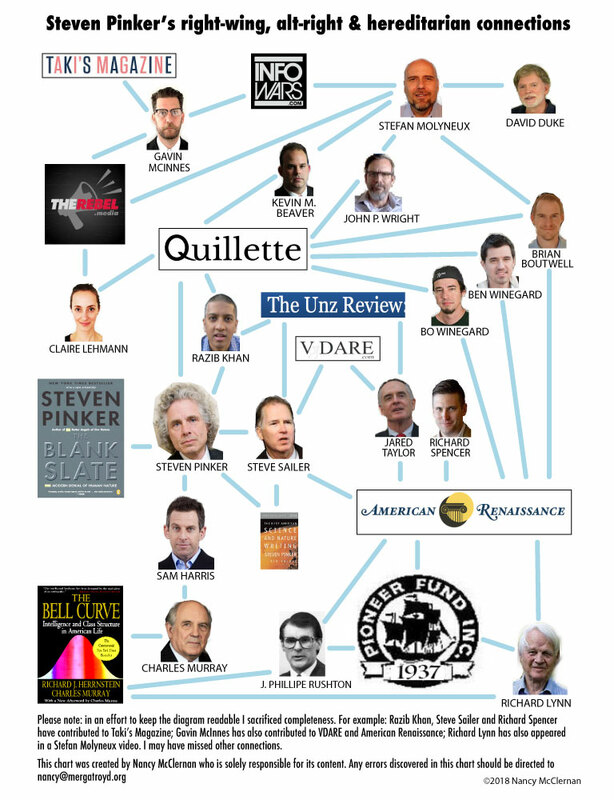 The Bell Curve is just as influential to the promoters of race science as Atlas Shrugged is to libertarians - and there is plenty of cross-over in the two groups: Charles Murray is a libertarian. 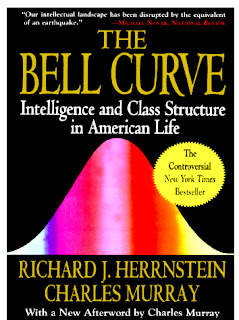 So it will be good to examine, in-depth, this influential text which uses a number of sources funded by the white supremacist Pioneer Fund, as Charles Lanes discusses in his 1994 piece on The Bell Curve.